Microblading is a cosmetic procedure that is less permanent than traditional cosmetic tattooing. The results typically last 1-3 years, depending on your skin type and skincare routine. A hand tool with super fine needles is used for the procedure. After carefully measuring to determine placement and shape, each ‘hair’ stroke is gently etched into the skin. The pigment is chosen to match the natural or desired brow colour, taking into consideration skin tone. The result is an incredibly natural, realistic set of brows. Microblading is perfect for anyone wanting to enhance their brows. Whether you have little to no brow, thinning or over-plucked brows, the results are beautifully realistic. Nano brows - Demi permanent procedure , nano brows are still “hair like strokes “ but they are done with a hand held machine with a single flexible “nano” needle , it’s ideal for everybody but even more so for oilier skin types because it creates less trauma to the epidermis due to the thinness of the needle itself. Nano brows will give you a more structured bolder look while maintaining “hair like “ strokes . Lip blush - a Semi permanent lip tattoo technique created by tattooing color on to your lips that is sheer, and nothing like the “lipstick” look of past years. Think of it as your lip color, but subtly enhanced by a translucent layer of pigment . Your lips will have a fresh, healthier appearance. This technique involves creating a very soft and subtle outline of your lips with a lip color that best suits your skin coloring and desired look. This soft line is then blended and shaded when filling in your lips with the pigment. By doing this, we are avoiding the “lined lip” look, and therefore creating the illusion of fuller, natural looking lips. ** Please note: Pregnant or breastfeeding women must provide a physician’s note prior to their appointment. People arriving for their lash lift appointment must not be wearing contacts or have mascara on. Not suitable for individuals with excessively watery eyes. ** Please note: as of April 1, 2019 all JUNIOR SERVICES will increase by $50.00 +tax. 1.5 hours. Includes one touch-up within 4-8 weeks of initial session. Includes one touch-up within 4-8 weeks of initial session. Done with a single needle machine – looks like hair strokes. Please contact for precise quote. 30 mins. Existing customers only. 1 hour. Existing customers only. 1 hr. Existing customers only. Yael Malkin has been in the beauty industry for 15 years, working as both a hair stylist and makeup artist. She has a natural artistic flare and passion for aesthetics, as demonstrated in her ever growing clientele and the relationships she builds with them. She has been microblading and working with permanent makeup since 2016, and has since acquired many certifications with PHIbrows Academy while continuing to achieve huge milestones in her career. She holds more than 6 different certificates from completing certifications with Canadian and European artists. The store front, on Queen St. East, features Yael and other artists that are offering the same services. 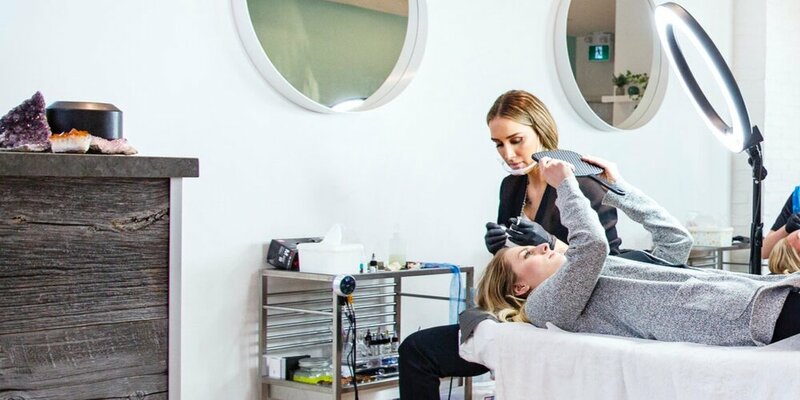 With over 4000 trusted clients all around Toronto, Brows by Yael is your go-to place! Ursula’s successful career in beauty started after she was inspired by a marketing project she worked on for a Brazilian beauty company. Craving a change in direction, she left her 10-year career in Marketing and launched herself into beauty. She began her work in embroidery eyebrows in 2016. After taking courses in Canada, she studied under some of the best professionals in Brazil to learn new techniques. In 2018, Ursula furthered her microblading education, becoming a PhiBrows artist and joining Yael’s team at Brows by Yael. My name is Christina and I’m a certified PhiBrows Artist that comes with extensive training under Master Laura Ciordas and apprenticed under Yael Malkin. I have always possessed an artistic flair and passion for art and beauty. So, naturally, microblading was an exciting avenue to explore as it has become the perfect creative outlet for me. I absolutely love creating custom brows for each client and helping them feel beautiful, confident, and happy. I’m super excited about working at Brows By Yael, and cannot wait to make more brow magic happen! Kelsey had her start in the fine arts, both as a student at George Brown and as her passion. With an aptitude for portraiture, and a long-standing interest in beauty and cosmetics, microblading was a natural step for her. Kelsey is currently apprenticing full-time under Yael learning how to create natural looking brows customized to the client. Please note that prices for all services excluding touch-ups will increase by $25 from what is stated starting January 1, 2019. This applies to ALL 2019 appointments (even if they were booked in 2018). Missed microblading appointments will be charged at 25% of the appointment price. Missed complimentary touch-up appointments will be charged a $100 fee when rebooked. Our 48-hour cancellation policy is FIRM & NON NEGOTIABLE. This policy stands for ALL appointment types, including 4-10 week touch-ups. If you cancel within this timeframe, your deposit will be forfeit. If you late-cancel/no-show for your 4-10 WEEK TOUCH-UP, you will be charged $100 at your next appointment. You are required to inform us of any previous eyebrow microblading/tattooing/permanent makeup, skin conditions over the brow area, and scars in the brow area prior to booking an appointment. Failure to do so may result in the inability to work on your brows, followed by the cancellation of your appointment and deposit forfeiture. If you fall into any of the above listed categories, please call or email us to discuss before booking. TO BOOK YOUR APPOINTMENT PLEASE COMPLETE THE FOLLOWING 2 STEPS. * Please note : If you are uncertain if you are a good candidate, you will need a consultation prior to your booking. This service is non-refundable. Step two - by clicking on BOOK NOW you acknowledge all terms and policies stated in the above. Microblading, also known as Eyebrow Embroidery is a procedure categorized under permanent makeup, but unlike traditional cosmetic tattooing, it is less permanent. Microblading typically lasts 1-3 years, depending on skin type and skincare routine. The procedure is done by using a hand tool with ultra fine needles and each ‘hair’ is gently etched into the skin, giving an incredibly natural and realistic look. Microblading can dramatically correct or fully reconstruct lost eyebrow and is excellent for those wanting to enhance their brows or who have little to no eyebrows, thinning brows from age or over-tweezed brows. Pigments used are chosen to match the natural or desired brow color and skin tone will also be taken into consideration. I’d be happy to consult with you to determine if you are a good candidate for microblading. However, I cannot perform the procedure on those that are: pregnant, breastfeeding, diabetic, taking blood thinning medication, or have an autoimmune disorder, or have recently completed chemotherapy. Please email or call for more information, and to discuss whether you should book a consultation before your microblading appointment. For the first Microblading session, the entire procedure should take about 1.5 – 2.5 hours. During this session, the brow technician will shape and style the client’s brows for client approval. We then follow with pigment color selection. Once the client is satisfied with the choices, we begin the procedure. The client is to come in for a follow up visit in order to have any minor necessary touch ups. The second Microblading session takes place within 8 weeks of the initial session. This session will take approximately 30 – 45 minutes to complete. The eyebrow area will be slightly red after the procedure and color will appear very dark. This is normal for the procedure and part of the healing process. The color will fade by up to 40%-60% as it heals. In the following days, the eyebrows will continue to be dark and you will notice slight scabbing. Do not pick at the scabs as this may damage the skin and the outcome of the microbladed area. The eyebrows will lighten up in color as it heals. No down time is required after microblading procedure. It takes approximately 7-14 days for the brows to heal over, and about 1 month for the color to fully set in. You’ll notice the color is very light right after the two weeks after healing; the skin will have an opaque milky looking quality to it. This is known as the milk skin and is common in tattooing. This is due to the the tissue still healing from the inside out even though the surface of the skin is healed. True color will reveal itself once healed. Is there anything I should do/not do before my procedure? If you are taking any fish oils or omega supplements, please stop one week prior. Do not consume caffeine the day of your appointment (no tea, coffee, chocolate, Coke, Diet Coke). Avoid any alcohol the night before or day of. Avoid any Aspirin, Advil, or Ibuprofen the day before and day of, as well as Adderall. Do not use retinol products for 2 weeks prior to your appointment, and avoid the brow area after your appointment indefinitely as it will increase the speed at which the pigment fades. No waxing or tinting at least 3 days before your appointment. Tweezing around is okay. No tanning beds for at least one week prior to your appointment. If you are going on vacation to a sunny destination, please be sure not to arrive at your appointment with dry/extremely tanned skin. Should you arrive with your skin in this condition, we will not be able to proceed with the appointment. Any other concerns or questions, please contact me directly. It’s safer to ask than to assume. In most cases, no. Consultation is part of your regular microblading appointment. 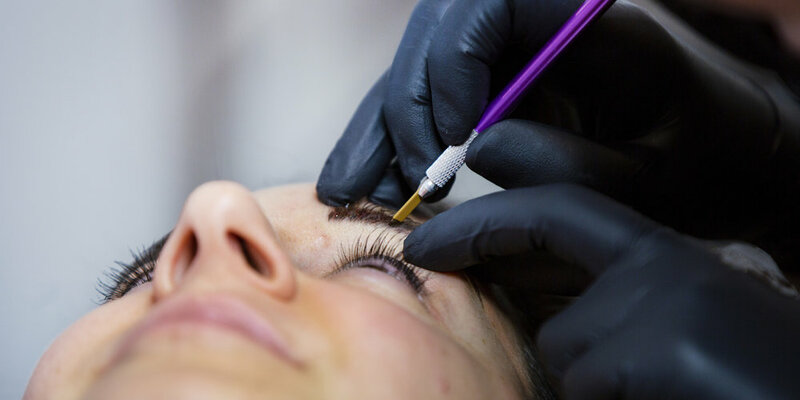 However, if you have had previous microblading or permanent makeup, skin issues, scar tissues, or medical issues requiring discussion, a separate consultation may be needed. Please contact me directly with any questions. What is the difference between microblading and shading? Manual shading is a different technique of depositing pigment into the skin by a hand tool and a needle. It gives an illusion of a “fuller”, more “powdered “ or “coloured in” brow, and helps blend areas with very little hair to areas that have thick dense hair. How do I know if I need shading or not? We can decide on it together and add the service the day of your appointment. Do you keep a cancelation list? Unfortunately, I do not have a cancelation list. As my client, you are able to cancel and rebook your appointments online yourself (as long it’s not within the 48 hours of your original slot). I unfortunately can’t keep track of all my activity online which is why I allow for a “first come first serve” booking. Cancellations do come up so going on line often and checking will be your best bet. ** Having said that, please note: Yael has currently frozen her books. However, we will be opening up her calendar for July on April 1st, and subsequently on the 1st of every month we will be opening her calendar for August, September, and so on.